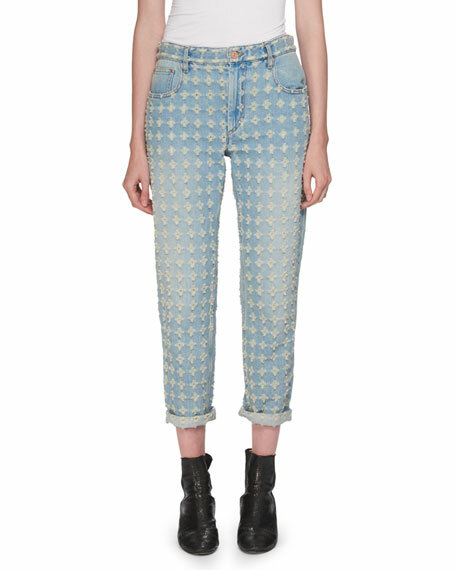 Etoile Isabel Marant "Corliff" jeans in hand-worn style light-wash denim. Blanc Noir "Traveler" jacket tonal velour panels. 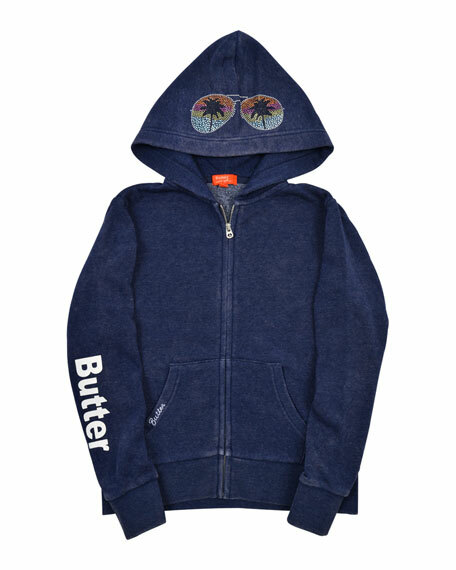 Hooded neckline; open front. 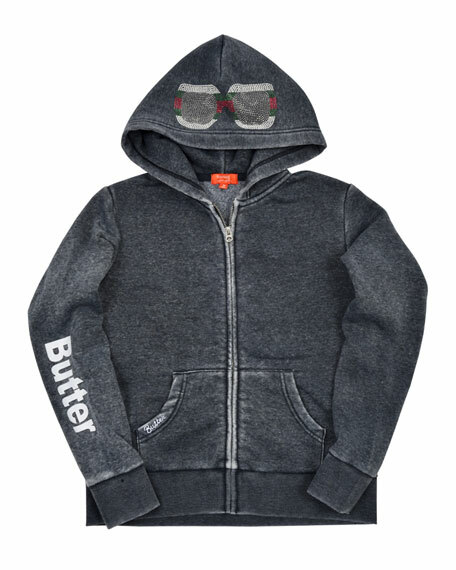 Long sleeves; zip cuffs with thumb loops. Drawstring waist. Side pockets. Relaxed fit. Below hip-length. Cotton/spandex. Silk lining. Imported. 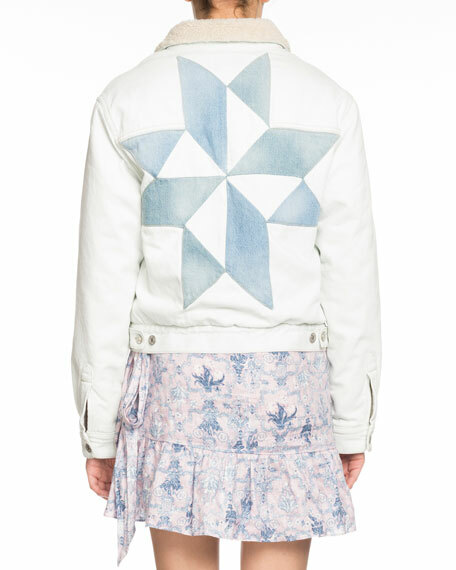 Etoile Isabel Marant "Lindy" jacket with patchwork details. Spread collar; button front. Long sleeves; button cuffs. Chest flap pockets. 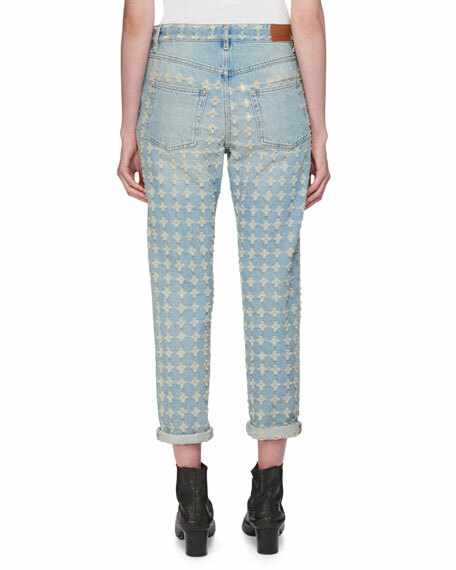 Side slip pockets. Slim silhouette. Cotton. Polyester/acrylic trim. Dry clean. Imported.